Advances in the care of children mean that adolescents with chronic kidney disease (CKD) are surviving to adulthood and requiring transition to adult care. The transition phase is well-recognised to be associated with considerable excess morbidity and graft loss, but these outcomes may be avoidable through a structured transition programme. 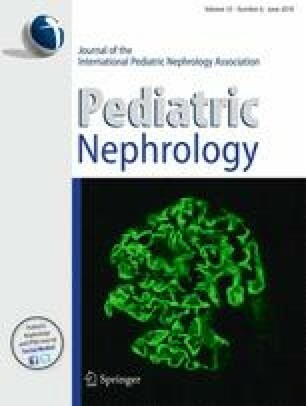 This review will discuss the (1) challenges encountered by patients with CKD, caregivers and clinicians during transition; (2) predictors and outcomes of transition; (3) current guidelines on transition from paediatric to adult renal services; (4) interventions and research directions that may help to improve the care and outcomes for young people with CKD in transition. In spite of the substantial improvement in health gains required for this disadvantaged population, there is to date only limited evidence on the effects of current transition programmes. • Transition is not as a single event in time, but rather a well-planned process that occurs over time, involving the transfer of care from the paediatric health service to the adult health service. • Transition may be associated with poor medical outcomes, including reduced medication adherence, and those with kidney transplants may experience acute rejection and graft loss. • Transition programmes involving a multi-disciplinary team appear to improve the outcomes post transition, but further research is needed.